The latest season of WWE SuperCard will be released sometime next month. This update to the popular Android and iOS app will include one new game mode and two new real-time PVP modes, Ranked and Royal Rumble. Ranked is similar to Exhibition, a mode currently available in the game, and Royal Rumble is a deeper strategy mode where you can utilize a slightly larger deck. “For Season 3, we’ve really tried to focus on what makes the game great,” said Adam Plotkin, producer at Cat Daddy Games. This means implementing features such as Legacy Cards, which allows players to use their cards from Season 1 again and retain their cards from Season 2. They’re also working on getting a variety of talent added to the game, so keep an eye out for new faces and cards. 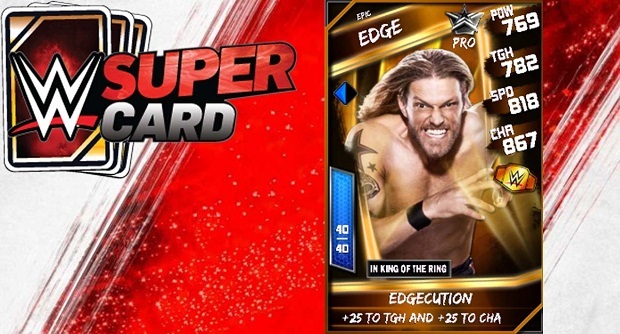 WWE SuperCard was launched on August 14, 2014. Since then, it has been downloaded over 11 million times by wrestling fans across the globe. It gives players the chance to collect virtual cards of their favorite wrestlers, train them up, and battle them against AI or real world opponents.